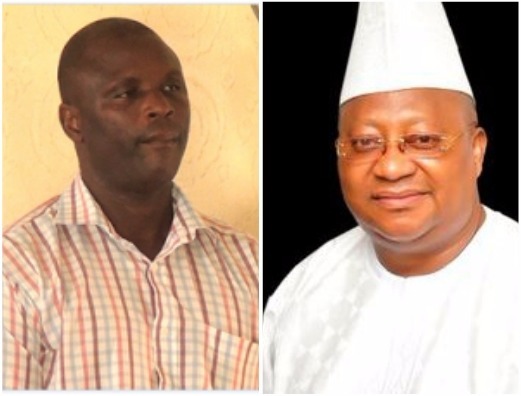 Alfred Aderibigbe, the nurse who treated Isiaka Adeleke, senator who represented Osun west in the 8th assembly, has denied administering a drug overdose on the late politician. Speaking when he appeared before a coroner inquest on Thursday, Aderibigbe told Olusegun Ayilara, the chief magistrate, that all the drugs he administered on the deceased in normal dosage.He said he had been treating the late senator in the last 15 years and that the drugs he gave Adeleke the day he died were those the late politician gave to him. “The senator gave me his drugs which he brought from Lagos to keep on the evening of Monday, April 17, with the understanding that when he wants to take them, he will call me to bring them,” he said. “On Sunday, April 23, at about 4am, I was, however, woken up by two men from the senator who banged on my gate and later informed me that the senator had been calling my phone and that I was not picking my calls. “They said the senator needed me to come and treat him and that I should bring his drugs along. “I later went inside to get them and also found the calls I missed on my phone. “I called the senator but his friend, one Dipo Fagborode, picked his call. “As he was explaining what was going on, the senator himself collected the phone and asked me to come quickly that he was having serious knee pains. “When I got to the senator’s house, he asked for his drugs and gave me his prescription which contained the dose I was to administer on him. “The drugs which the senator kept with me that was to be administered on him were Analgin injection, Diazepam injection, photroine injection and hydrocortisone. “But the senator said I should not give him hydrocortisone because when he took it in Lagos, he had headache and was also vomiting. “So the other drugs was what I gave him and they were in the right dosage. “Even when the prescription said he should be given 20mg of diazepam, I had to limit it to 10mg because I discovered he had taken some oral pain painkillers. “The two other injections I gave him were in the right proportion too– 50mg of Analgin and 1mg of photroine. “I waited for him to sleep and finish the drip/water I had already placed him on before I took my leave around 7:30 am. “The reason I took my leave was to inform my church because the day was a Sunday and I would not be able to teach the Sunday class. “ I returned back to the Adeleke residence by 9:30 am. “Before I left, I had told the senator’s friend, who was with me throughout the treatment, to watch over him. “When I returned, I found the senator in the sleeping position I left him, and on closer observation, his heart rate had dropped and his pulse was faint. “I quickly gave him cardiac massage and called on his friend, Dipo, to assist me and when the situation was beyond my control, I raised an alarm and he was quickly rushed to Biket hospital. He asked his friend what happen and he was told that the deceased complained of knee joint pain (gout) and that I gave him some treatment. “The doctor now asked me what drugs I administered on the deceased and I told him,” he said. “He then said it was the normal drug treatment for gout. “But as the empty containers and the previous drugs the deceased had taken were brought to the hospital on the doctor’s request, lies broke out that he died of overdose. “The lies were generated by the crowd that had gathered at the hospital because Sen. Adeleke’s campaign bus and his Escalade were used to convey him to the hospital. Aderibigbe said after the incident, he was arrested by the police and detained till May 2 before he was granted bail. He said since he was granted bail, he had not returned to work or his house in Ede, having been placed under protective custody. Ayilara lamented that he had now been accused of killing Adeleke while his wife and children had fled from the family home. In earlier testimonies before the coroner, the Chief Medical Director of Ladoke Akintola University Teaching Hospital, Osogbo, Akeem Lasisi, said Adeleke died of drug overdose. The consultant pathologist, who carried out the autopsy on Adeleke’s corpse, Taiwo Sholaja, also claimed that he died of drug overdose. The coroner’s sitting was later adjourned till Friday.